Courtesy Cook County Sheriff’s Dept.R. Kelly‘s eyebrow-raising relationship with Azriel Clary and Joycelyn Savage was brought to light on Thursday morning, in a new interview with CBS This Morning. Speaking with Gayle King, the young women who describe themselves as the embattled singer’s live-in “girlfriends” vehemently denied claims by each of their parents that they have been “brainwashed” by Kelly. According to Clary and Savage, their families are the true perpetrators in this ordeal. “They didn’t agree on what happened with music or whatever it could be. They’re just very upset,” the 23-year-old further explained. Shortly after the interview aired, Savage’s family fired back with a response of their own via their lawyer Gerald Griggs. 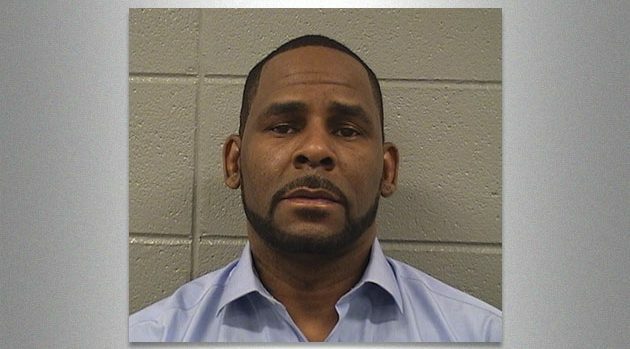 “We have unequivocally denied allegations that the Savage family received money from Robert Kelly,” Griggs’ statement read. Meanwhile, Kelly is currently being investigated by Detroit police for allegedly sexually assaulting a 13-year-old girl who claims she contracted herpes from the singer at age 17.